Because I researched and delivered the first user research lab at GDS, I get a lot of requests to look at lab plans. I’m always interested in them: it’s great to offer advice where I can, helps keep me up to date on advances in lab technology, and inspires healthy questioning about what we could have done better and where we can improve now. But there’s something that stands out in those emails, and it’s important to address: nearly always, the plans focus exclusively on physical space and technology. I look at them and think: Where are the people? And what’s the culture? As someone designing a lab, your users are research participants; researchers; teams and colleagues observing research; lab technicians; managers and other visitors who will use your lab. In building a lab, you’re helping your colleagues put their users first. In turn, it’s important that your users come first too. Think upfront about who will use the lab and their end-to-end experience of it. Think about how you’re going to help people who are participating in research; planning, doing and watching research; and designing and making based on research. One of the reasons the lab at GDS has been such a success is because we built it in a research-friendly culture, but it wasn’t always that way. Even before the lab was a plan on paper, Leisa Reichelt had begun work on changing GDS’ culture around user research. 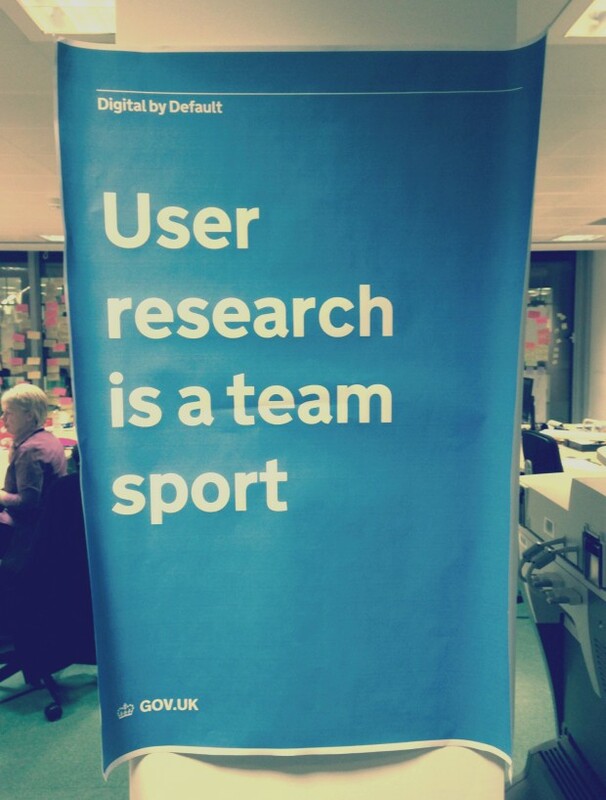 Project team members from across GDS were encouraged to watch at least 2 hours of research every 6 weeks and the slogan, ‘User research is a team sport’ could be seen on posters everywhere. By the time we started building our lab, we had teams asking for an in-house space. They knew why it would be valuable, they knew how they would use it, and they knew how often they would use it. This got our lab off on the right foot and helped instil a culture that’s kept the observation room filled with project team members ever since. And, as part of that ecosystem, the lab now encourages people to observe more research. It’s a two-way street. A fully booked lab and vibrant observation room makes for a fun and productive space that people want to come back to. More people means a healthy return on investment and an easier path in getting funding for more labs or research equipment down the line. Is your culture ready for an in-house lab? These questions will help you to decide whether you’re going to make the right decisions about your lab. How much user research are you doing now? If you’re not already doing a ton of user research, then you’re probably not ready for a lab. Start by hiring public labs, or just using some office space. This will help you learn (risk-free) what you want to do with your lab, and what you want your lab to do for you. 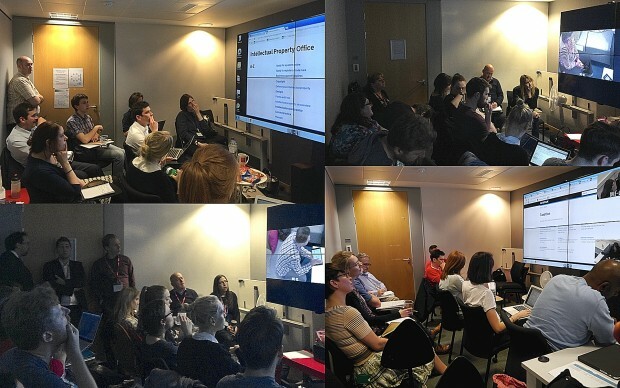 What’s the attitude and culture towards watching user research in your organisation? Observers are the lifeblood of a lab. If team members and senior managers aren’t interested in watching research or don’t think it’s part of their role, they won’t come to the lab. If that’s the case, the sooner you start convincing people that exposure hours are important the better. What kind of traffic do you think the lab will take in? It’s not about the size of your team, it’s about how much lab research they do. If you’ve got a big team of researchers but they spend most of their time in the field, you won’t have the business case or need for a big-budget lab. You’ll do better to invest in portable technology. The amount of traffic your lab has will affect your return on investment, business model, budget and therefore what you actually need to buy. Use team size and traffic to figure out your budget and spec. Do you need to or want to (and can you) partner or offer your lab out to other teams? If you don’t have enough traffic, can you partner with others to increase usage (and therefore budget) and build something that’s more useful to everyone? What will the space be used for the most? Think usability testing, unmoderated research, one-on-ones, group sessions, paper prototype testing, card sorting, depth interviews. Each of these research methods do best with different setups. Find out what the most likely and common usages will be and plan your space for those. If you have more than one, plan in easy transitions from one setup to another. Where are the people who will use the lab? Aim to get your space as near to them as possible. Proximity has proven a game changer for us: we get so many people coming to observe that we’ve had to double the size of our observation room. As a result, more people learn from each research session and the value of research is spread even more widely. How will your lab workflow support and fit in (or not) with your user research team’s current workflow? As with all service design, think about what happens before the researchers, participants and observers come to the lab and what happens after they leave. For instance, how will video formats and sizing fit in with how the researchers use and store video? Once you’ve done all of that, then it’s time to start geeking out over your lab’s physical space and what gizmos and gadgets you should buy. If you're building a user research lab in government, let us know. We're keen to learn and share.